JUN oil pump cracked at the flats. The Spline drive addresses this weakness with ALL stock based RB26 oil pumps. We launched the Spline Drive RB26 oil pump gear kits back in 2014 after a long R&D process to offer a product that not only improves the over all strength of the pump gears as upgrades for the N1 and OEM pumps, but also changes in the way in which the gears engage with the crank. As per Toyota’s 2JZ GTE engine we found the best solution would be to incorporate a spline engagement which would totally eliminate the underpinnings of Nissans troublesome flat drive design. The RB26 is a legendary engine in its own right and an iconic powerhouse amongst enthusiasts and tuners all over the world. One aspect of the engine that is considered its Achilles heel is certainly the oil pump. 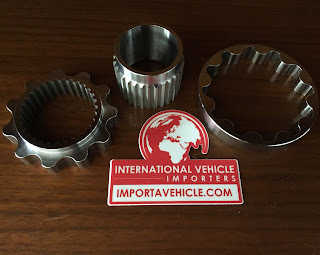 Over the years there have been reports of numerous failures where the inner and sometimes the outer gears have broken during hard use of the engine be it on the road or on track or drag. Contrary to popular belief the wider nose crank which was introduced on BNR32 models from Feb 93 onwards and standard on BCNR33 and BNR34 models, while reducing the possibility to a degree did not eliminate the issue fully. Various attempts were made over the years to address the issues, Tomei, Jun, Greddy, HKS and Reimax (Japan) and Nitto (Australia) all made uprated pumps with bigger diameter and thicker pump gears to increase flow and overall strength which is much needed on track or on a high revving RB26 to ensure the engine has ample oil supply and durability. However they are based on the flat drive design. Nissans own OEM pump (81mm outer pump gear) as supplied from the factory along with the N1 pump (77mm) utilise gears made from sintered metal which is weaker than billet steel equivalents. The Nismo pump is a steel version of the N1 with same flow and pressure. 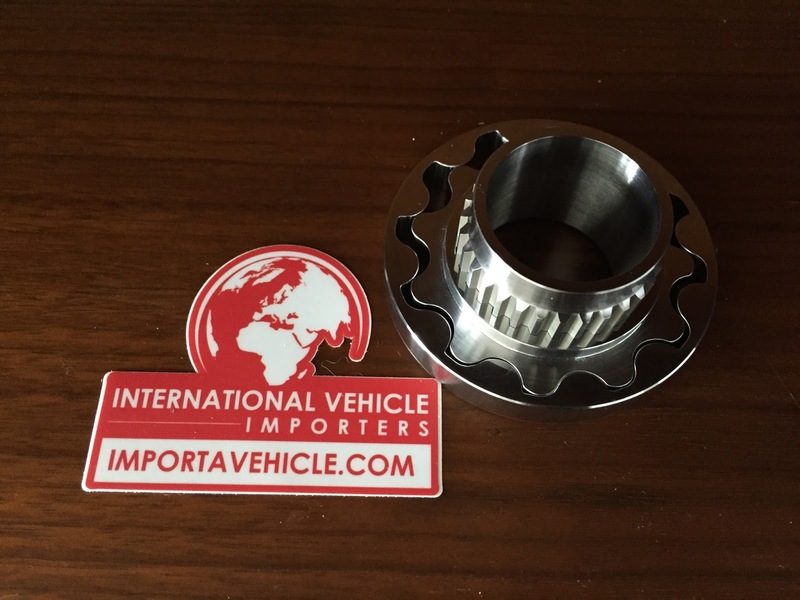 Reimax offers a billet steel gear upgrade kit for both OEM and N1 pumps, but upon testing we found clearances to be greater than stock N1, OEM and Nismo pumps, which in our view would increase potential failure. 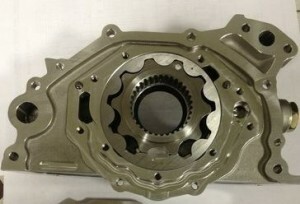 Tomei Oil pump is considered the mother of all RB26 oil pumps. 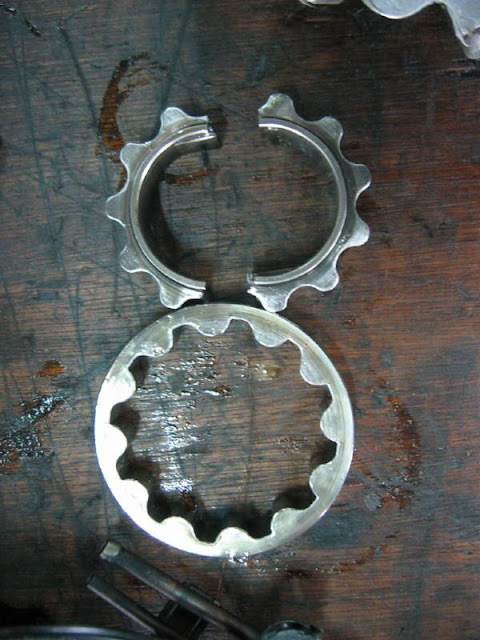 Picture below showing Tomei gears vs Supertec Spline Drive gears. 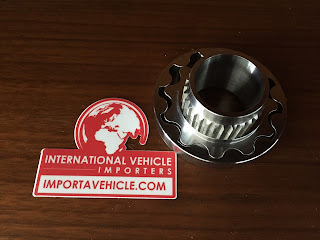 Spline Drive with a Spline collar fitted to the crank provides a more efficient drive of the inner gear due to multiple splines that provide equal grip compared to a 3/16″ contact as per the OEM Nissan flat drive. The design of pump used on a RB engine is where the inner gear runs at the engine speed – at high RPMs they tend to suffer from cavitation. Cavitation occurs at higher rpms and the forces and stress placed on the gears have known to break the inner gears most commonly on N1 and OEM pumps but to a lesser extent also on the heavy duty Tomei pumps. Spline drive will not eliminate cavitation but would offer much improved strength due to reasons mentioned above. Failure does not result from cavitation only, but also when using launch control or frequently hitting the rev limiter. The back and forth movement coupled with shock loads are enough to shatter the gears. What is involved in fitting the gear kit? 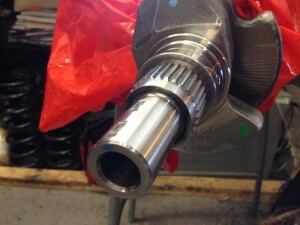 The process is relatively straight forward on the pump side, N1, Nismo, OEM, Jun and Greddy pumps only require the backing plate to be removed and gears to be replaced where as the Tomei pump backing plate needs the hole in the backing plate enlarged a little (full details provided in the manual). 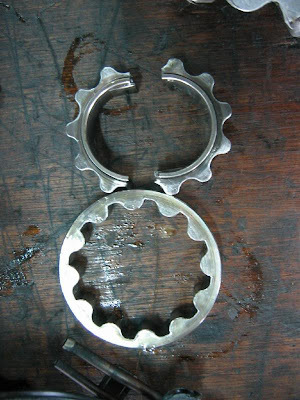 Fitting the collar will require the crank to be machined and the splined collar to be press fitted, for additional reliability it is recommended that grub screws are fitted.